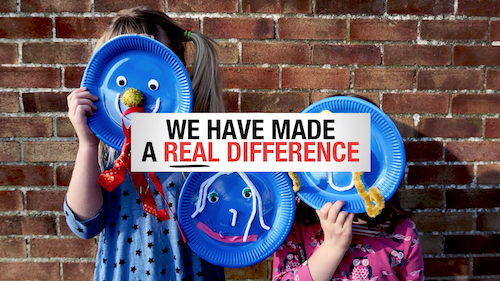 Founded by the BTHA, the Toy Trust- the industry’s charity- exists to raise money predominantly from the toy industry, its suppliers and friends; and distribute the money raised to charities helping disadvantaged and disabled children within the UK and abroad. Get involved for the Toy Trust in 2019! Each year people from across the industry, from manufacturers and retailers to licensors and suppliers, come together for a number of events to raise funds that will go to children’s causes across the UK and overseas. The Toy Trust committee, that disburses the funds raised, is made up of a cross section of industry representatives including manufacturers, retailers and licensors. To ensure all the money raised goes to the children that need it, the Toy Trust is administered by the British Toy & Hobby Association, which covers all administration costs. Money raised through fundraising events and other initiatives is distributed by the Toy Trust committee that meets five or six times each year to allocate grants to children’s causes in need of support. All projects and charities, whether local, national or international, will receive consideration from the committee. With the help of the many supporters of the trust, from across the entire industry, £5.9 million has been raised since its inception. Anyone wishing to raise money on behalf of the Toy Trust should contact Matt Jones at the BTHA team.